There should be no surprise at the steps being taken by nearly every automaker to introduce more sustainable options. While certain decisions in design and engineering may be called into question by certain breeds of drivers, it does nothing to diminish the appeal of the innovative vehicles (especially in the eyes of their intended audience). There are a growing number of drivers who find themselves fixated less on the ‘joy of driving’. Choosing to view driving in its simplest form (as a means of getting from Point A to Point B) they focus more on fuel economy and energy consumption than they do on horsepower, design, and utility. That said, automakers don’t turn a blind eye to such concerns. In fact, each and every one seems to be racing to find the best possible balance between these two mindsets. In this regard, the Ford C-Max manages to carve out its own distinctive racing lane. Reminiscent of more diminutive European designs, the C-Max endeavors to be a sustainable option that can be something to everyone. Boasting best-in-class horsepower and seating among small hybrids, it aims to tick the boxes some drivers may be less concerned with. Add in confident cargo space and a wealth of technology, and the C-Max serves as a strong reminder that driving an eco-friendly vehicle doesn’t mean compromising the joy of driving. First introduced in 2012, the C-Max has a few years under its belt. This means that you have the option of exploring several model years, all of which fall into a late-model category. This is great news considering that some customers may prefer to buy pre-owned. 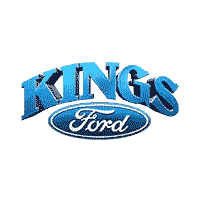 But, whether you’re looking at a pre-owned model or the 2018 Ford C-MAX – Cincinnati, OH drivers need look no further than Kings Ford. 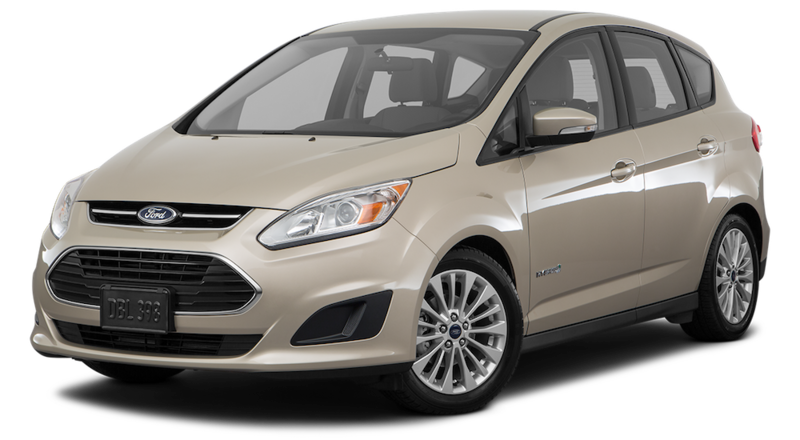 The 2018 Ford C-Max is available in two variants: the standard Hybrid and the plug-in Energi. The former is priced to start around $24,120 MSRP for the more budget-friendly SE trim. Opting for the well-equipped Titanium trim level bumps the starting price up to around $27,275 MSRP. This is aligned with the starting MSRP of the plug-in Energi (which is available in the same two trim levels). The (base) SE model is Bluetooth-enabled and features voice-command capabilities. Its infotainment system is built around a 4.2-inch display (with rearview camera) and a six-speaker sound system with CD, USB, and smartphone integration. An added feature that proves hardly is a 110-volt household outlet. Enhancement packages are available, including such features as built-in navigation, 8-inch touchscreen, and interior upgrades. Of course, the Titanium trim features all of this and more, including a premium nine-speaker Sony audio system with HD capabilities. The C-Max stands head and shoulders among many of its competitors in this regard. Not only is everything solidly constructed of strong material choices, but there are some inspired design choices made throughout. First, it’s worth noting that the C-Max features larger doors and optimal seat heights that increase the ease of both entry and departure. With a strong driving position, and solid visibility you can turn your eye to the overall design. The first word that comes to mind is ‘modern’. From its’ distinctive four-spoked steering wheel to the rounded contours of its’ dash and panel, the C-Max looks ‘different’. And party of its unique feel comes from its overall simplicity, using intelligent control design to reduce overall clutter. In almost every way imaginable, the C-Max creates a sense of ease. In terms of ride quality, this extends to a soft and relaxed ride. This is only complimented by the fact that the C-Max produces little to no noise from the powertrain, the wind or the road beneath it. As a small wagon, some might argue that designers are limited in their ability to create a truly compelling design. This falls under the ‘concession’ umbrella so commonly associated with environmentally-friendly vehicles. That said, in the C-Max, Ford has managed to create something that is both unique and appealing in its overall aesthetics. 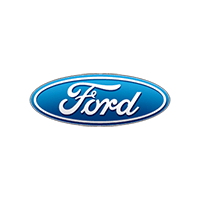 Its bold front-end styling is built around an oversized grille, separated from the Ford balding and recently refreshed LED lighting. Positioned below the ridge of the hood, the elongated headlights draw your eyes back along the C-Max’s sleek body. Its’ unique profile is accentuated by its sloping roof, extending seamlessly into its hatchback. With hints of everything from a small, sport coupe to an upsized crossover, the C-Max is a stylish reminder of how good a diminutive EV can look. Regardless of which version, or trim level, you opt for, the C-Max is powered by a 2.0-liter four-cylinder engine mated to (i) an electric motor powered by a lithium-ion battery, and (ii) continuously variable automatic transmission. For the regular Hybrid C-Max, this equates to approximately 188 horsepower and 40 mpg combined. This configuration accelerates admirably, offering an 8.1-second sprint to 60 mph (quick for a hybrid) and brakes with confidence. Courtesy of a larger battery, the Energi is able to serve up an additional 19 miles (on battery power alone) while its’ core fuel economy remains the same. Sprinting to 60 mph in 7.8 seconds, the C-Max Energy is inarguably quick. And charging is relatively convenient, taking approx. 2.5 hours from a 240-volt outlet (or 5 hours from a standard 120 volt). While EV offerings may not be for every breed of driver, many might find themselves more willing to considering making the change with a better understanding of how well-equipped and impeccably-designed they can be, as well as how well they perform. In that regard, the 2018 Ford-C-Max is a great example of just how deserving an EV can be, of consideration. Few concessions are made in driving a C-Max, and it certainly doesn’t sacrifice any of the joy of driving.